Despite Italy having apparently normal copyright laws, for many years it was the place to go if you wanted to ignore them (if you ever bought a bootleg CD in the 90s, chances are that’s where it’s from). 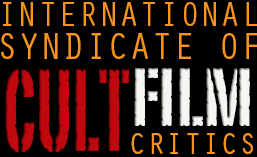 In terms of movies, this means two things to us – first, is the making of “franchises” out of random movies, such as the “La Casa” series, which started off with the first two “Evil Dead” instalments, then had a few Joe D’Amato-produced bits of garbage, before finishing off with La Casa 6 and 7, also known as the second and third “House” movies. No, it doesn’t make any sense to me either. Second, and this is where this movie comes in, in case you were wondering about the title, is “unofficial” (read: right at the far bounds of legality) sequels. 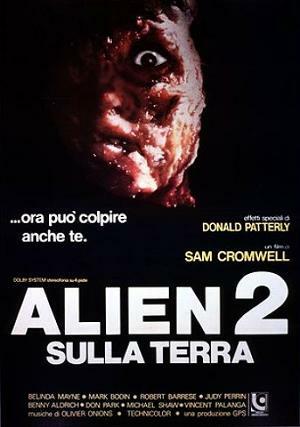 I’m guessing someone at Fox didn’t dot every I and cross every T on some legal document, which allowed the enterprising (read: scumbag) Italian producers to make a movie called “Alien 2”. However, if you were expecting it to be similar to “Alien” by having good actors, an interesting plot, and action that moved along (or indeed, having an alien in it), then you’ve got a long 90 minutes ahead of you. Where to begin? How about with a first ten minutes that’s absolutely chock-a-block with padding? Director Ciro Ippolito wanted you to see every damn minute of every car journey taken in this movie. Thelma (Belinda Mayne) is a speleologist who’s doing a TV interview at the same time as a group of astronauts are due to arrive back on Earth, and while she’s subjected to such piercing questions as “what makes an attractive girl like you go down caves?” she suddenly stops talking and buries her head in her hands. No, it’s not due to the stifling sexism! It’s because she’s a psychic and can sense something wrong with the space capsule! Thelma and a group of other cave-explorers (who the movie doesn’t bother giving personalities to, so I won’t bother telling you their names) are off to do some science, underground. While they’re driving there, they hear on the radio that despite hearing from the astronauts 40 minutes before landing, the capsule is empty. 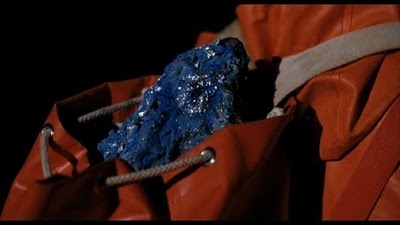 This is tied to the mysterious blue rocks that have started appearing everywhere – a little kid gets her face eaten off by one when it starts pulsating, as if someone told the director “Can you have something happen at this point? Anything? Please?” While stopping to use the toilet (I told you the speed of this movie was somewhat less than breakneck) one of the team picks up a lump of this blue rock, just lying outside the toilet door, and gives it to Thelma. Now, here’s where things go a bit skewed. If you were exceedingly generous, you could say the movie makes sense, up to this point, but everyone in that van is a caving expert, a discipline which you’d expect to contain some geology. Nope! Upon being given the stone, she goes “it’s beautiful” and then just leaves it in her backpack. Who cares? Then the movie arrives in the cave, where it spends almost all the rest of its running time…to say it grinds to a halt now is to imply it ever got going in the first place, but at least you might expect some aliens to show finally. No again! The rock eventually starts pulsating and, I think, does the classic Alien thing of laying an egg inside someone’s face, but it’s honestly difficult to tell. The vast majority of shots of the alien are from its perspective, which saves money I suppose but it pretty intensely boring to actually watch. 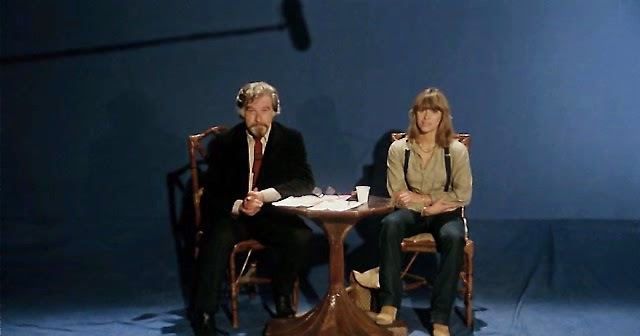 You might think a group of scientists would do some sort of science, but they bring no instruments of any kind…except, for no reason, a typewriter, which one of the cast uses by candlelight. Huh? Dammit, this movie is too terrible to waste this many words on, but there’s a few more bits stupid enough to deserve mentioning. At one point, they split up (obviously) and a rat does a massive jump to attack one of them, conveniently breaking their walkie-talkie / tracking device thing. Oh, and at every possible opportunity for one of them to fall and injure themselves, they do so, which even in the world of movie spelunkers (has a cave expedition in the movies ever passed off without a hitch, ever?) makes them pretty poor. Towards the end, the movie appears to be running in reverse, as rather than get out of the cave and go to the damn police or the army or anywhere actually useful, our two survivors go to the supply store, then to the bowling alley they were in at the beginning, before the one moderately interesting sequence in the movie, the final survivor running through a deserted city. But I doubt most viewers will make it that far, as it’s almost unbearably slow and boring – we never get a single shot of the alien itself, and while empty cities are always a bit spooky, there’s no signs of struggle or blood or anything else that might indicate aliens have taken over the earth. The ISCFC will never run out of terrible movies to review, that’s for sure – despite this being a “sequel” to a beloved classic, I’d never heard of it til this week. How many bad bits of sci fi and horror were made in Italy in the 70s and 80s? I feel like this isn’t even the only sequel to a movie set in outer space, which is set on Earth and doesn’t have any of the original movie’s villains in it. Though it’s available in its entirety on Youtube, and has some decent gore effects here and there, please don’t mistake this hyperbole filled review as a recommendation to watch it on your bad movie night. Just forget it ever existed and move on, we’ll all be happier. This entry was posted in Reviews and tagged absolute garbage, Italian horror. Bookmark the permalink. Hello,I log on to your new stuff named “Alien 2: On Earth (1980) |” like every week.Your writing style is witty, keep up the good work! And you can look our website about proxy server list.